Below you can view all the highrises for sale in the Sky Las Vegas subdivision located in Las Vegas Nevada. Listings in Sky Las Vegas are updated daily from data we receive from the Las Vegas multiple listing service. 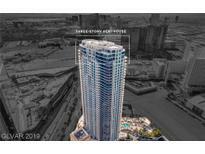 To learn more about any of these highrises or to receive custom notifications when a new property is listed for sale in Sky Las Vegas, give us a call at 702-323-5939. Just A Beauty Unit Up On The 40th Floor On The Strip ! MLS#2083210. eXp Realty. Other features include private elevator, modern kitchen with stainless steel appliances, and wet bar! MLS#2077774. Luxury Estates International. Amenities include valet parking, fitness center, business center, spa, billiard room, concierge services and over an acre of green space including a pool and gardens. MLS#2076390. Luxury Real Estate Advisors. HOA permits 3 Month minimum rentals. IMAGINE THE POSSIBILITIES! MLS#2075393. Elite Realty. Unit is currently occupied by a tenant. Lease expiration is May 2019. MLS#2074614. Char Luxury Real Estate. Tenant occupied until May 21, 2019. MLS#2074601. Char Luxury Real Estate. Huge balcony sitting atop of Las Vegas Blvd. Unit is currently tenant occupied. MLS#2074627. Char Luxury Real Estate. 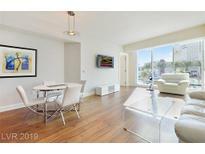 World class amenities include onsite Concierge,Business Center, Guard Gated, Conference room, Dog Run area, Valet/Assigned Parking, Pool with cabanas, Spa, fitness center, &more MLS#2074706. Realty ONE Group, Inc.
Bring your clothes and a toothbrush to move in. MLS#2073793. Char Luxury Real Estate. Come spoil yourself, you deserve this luxury high rise living! MLS#2072034. Dana Realty Group. Sky offers outdoor pool, 24/7 gym , movie screening room , steam room , Sauna ..and more ! MLS#2071944. Evolve Realty. Luxurious 2 bedroom Condo located on the Upper Floors of the known "SKY Towers" a Las Vegas Strip High Rise Building, Breath taking views of the South Strip & the East/Southeast side of the valley... Building offers a Full Concierge services together with MODERN and stylish environment live in... spacious, with natural lights, large balcony, strip views from Master Bedroom ,"Fully Furnished" and move in ready... MLS#2069821. Hecker Real Estate & Develop. *2bed*2ba*upgraded Kitchen W/Stainless Steal Appliances*large Master*separate Secondary Room*guard Gated*modern Features*pool/Spa*fitness*theater Room*business Center* MLS#2067966. Keller Williams Market Place. Many Amenities Included Are: Valet, Concierge, Security, Media Room, Pool, Spa. MLS#2064106. 1st Priority Realty, LLC. 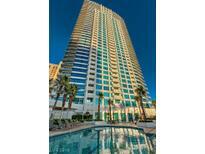 Building has several amenities including pool, spa, cabanas, racquetball, media room, concierge, valet and security. MLS#2061048. Realty ONE Group, Inc. Pool With Cabanas, Fitness Center, Business Center, Billard Room, Concierge Services, And Security MLS#2059126. Realty ONE Group, Inc.
One Of The Nicest Looking Lobby Around. MLS#2050934. Power Real Estate. Accompanying the unit are luxurious amenities which include a resort style pool & spa, fitness center, recreation room, raquetball court, and much more MLS#2044125. Foster Realty. Engineered wood floors in traffic areas, marble and granite bathrooms, quartz counters in kitchen, new carpet in bedrooms, electric shades in all rooms and new paint throughout. MLS#2020177. Char Luxury Real Estate. Gorgeous unit with main views towards Wynn Las Vegas. 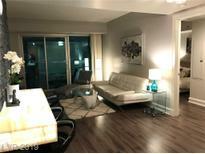 Unit is offered fully furnished! MLS#1992927. Char Luxury Real Estate.